A balance transfer is the process of transferring outstanding balance of a loan from one bank to another. A loan is transferred to save interest and reduce EMIs by switching to a low rate personal loan as well as to avail additional top up loan from the new bank. Suppose, you have an existing personal loan outstanding amount of Rs. 2 Lakh for a tenure of 48 months. You can transfer your existing personal loan to a new bank at lowest rates. By transferring a 4 year personal loan of Rs. 2 lakh from 14.5% to 11.49%, your EMI can reduce from Rs. 5,516 to Rs. 5,217. Total savings on interest after balance transfer is Rs. 14,340. What are the eligibility criteria for personal loan transfer to new lender? Charges to transfer your personal loan can be different depending on your existing bank and the new bank. Key charges for loan transfer include foreclosure charges to be paid to your existing bank and processing fees. Foreclosure charges are payable to existing bank for take over of personal loans. These rates can vary bank to bank from nil to up to 2%. Processing fees are payable to the new bank on transfer and may range from a flat fee Rs. 999 to up to 2% of the loan amount. However, banks offer discount on processing fees from time to time and you should check for attractive offers with marketplaces like MyLoanCare to get best personal loan balance transfer offer. 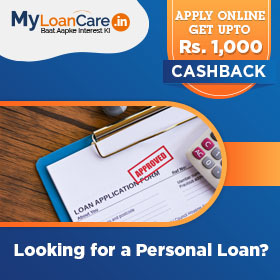 With MyLoanCare Personal Loan Balance Transfer Calculator, you can calculate your loan amount eligibility and also identify offers with lower personal loan rates compared to your existing personal loan rates. Do complete market research before you choose the bank to transfer your loan to and apply for a balance transfer in terms of current interest rates, processing fees offers, personal loan top up schemes from various banks. Who can avail the balance transfer and top-up of personal loan? Any borrower with existing runningpersonal loan on which he or she has paid at least 12 EMI’s regularly are eligible to balance transfer their loan to another bank and also avail top up loans at the time of loan transfer. When should I avail the personal loan balance transfer? In case you are paying an interest rate on your personal loan which is higher than those available in the market and the difference is more than 0.5% to 1%, you should consider the option of transferring your loan to a new bank. What is the time duration for transfer of loan? Your loan transfer formalities like getting NOC, foreclosure letter, applying and getting a sanction from new bank and getting the loan balance tranferred to new bank can take up to 4-8 days. Do I have to submit any security or collateral for personal loan? No, there is no need of security or collateral for personal loan. What is the loan tenure for the balance transfer of personal loan? The repayment period for loan is around 12 to 60 months i.e. 1-5 years. What are charges on the transfer of loan? Personal Finance experts recommends the use of a personal loan calculator before applying for personal loans. They have said it is crucial because it helps you decide your loan elibility, get better rate of interest, know the EMIs earlier along with some other attractive offers when you opt for a personal loan. A recent report published by Economic Times report, banks and NBFCs in India are witnessing a surge across personal loans. Personal loans have touched the mark of Rs 3.5 lakh crore during the financial year 2018-2019. The surge in personal loans is due to the rise in contingencies among individuals like a medical emergency. As per a recent Demographic and Health Survey report, women in India shy away from taking personal loans. The reason for this is they have a very less earning capacity as compared to male members which affect their loan approval rate. Besides, these women also have a lack of stable credit history which has increased the chances of personal loan rejection by the lenders.